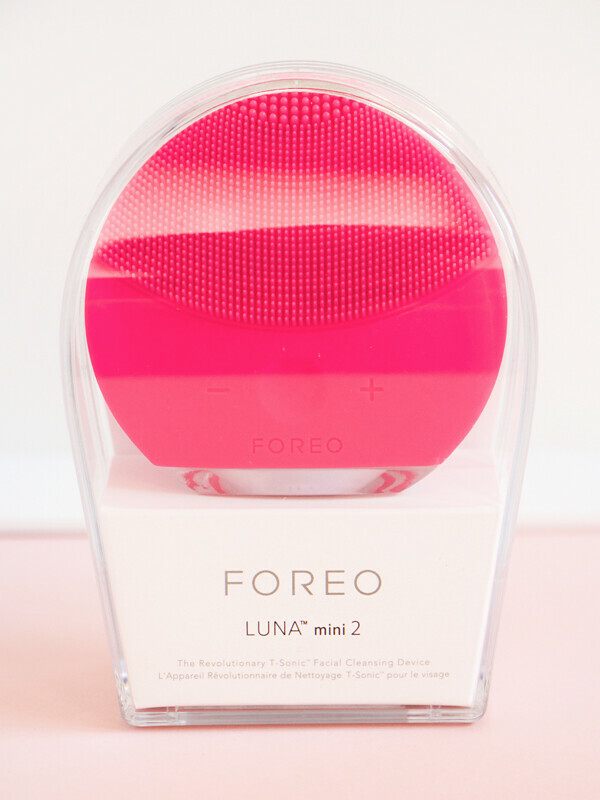 The FOREO Luna Mini 2 is hands down the best thing that I have bought in the last year. 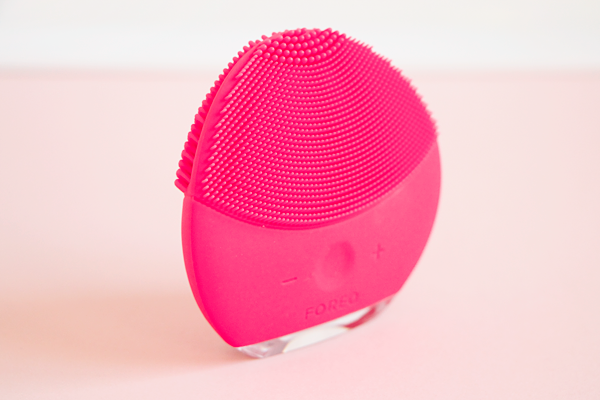 I've noticed quite a few people questioning whether they should buy a Clarisonic or a FOREO Luna so I just wanted to give you the lowdown on why I think this particular cleansing device is so much better for your skin. About six years ago I bought a Clarisonic Mia. At the time I really loved it & thought that it was an incredible invention. I did go through what others had told me was the 'purge' stage as it did make me breakout for a while but my skin around these blemishes looked beautiful. Eventually I stopped getting spots from it but the effects were no longer that noticeable & I started to get broken capillaries on my face. This showed that the brush head was way too harsh for my skin & the 'purge' I had gone through was just my skin reacting badly to the intense irritation that the Clarisonic Mia was causing. I also found it annoying that you could never be sure if the bristles were really clean, you had to replace the brush heads often & you had to charge it all the time. I only had the device for about 10 months before it broke & would no longer charge. It took quite a while to get a replacement & by the time that Clarisonic had sent me a new one, I realised that my skin was better off without it. The harsh physical exfoliation of the Clarisonic Mia had put me off cleansing devices for a vast amount of time. 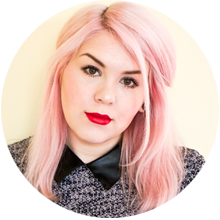 Having learned so much more about skincare I knew that chemical exfoliants were better suited to my skin. Then last year I started seeing lots of reviews for the little FOREO Luna Play. Many people that I knew had reviewed & loved their Clarisonics in the past were singing the praises of this tiny cleansing tool. It definitely piqued my interest but to me the Luna Play seemed like a waste of money as you can only use it 100 times before it dies forever. Instead I decided to go for the Luna Mini 2 as the size & shape of it were a happy medium between the original Luna & Luna Mini devices. The price was also smack bang in the middle of these two & at the time Cult Beauty had an offer on which meant I got a free Yu Ling jade facial roller as well so I got a pretty good deal! Of course, I went for the bright pink one but it is available in five other colours to suit your own style. The Luna Mini 2 is a sonic cleansing device that delivers 8000 T-Sonic pulsations per minute. There are eight levels of pulse intensity so you can decide how powerful you want it to be. It features a three zone brush which is suitable for all skin types. On the front of the Luna Mini 2 there is a large surface area covered with long silicone bristles which gently remove impurities as well as a smaller patch at the top with thicker points for precision cleaning. On the back the silicone points are broader, denser & more tightly packed which specifically targets oily skin. I tend to just use the front of the device as I feel that the softer silicone bristles work well for my skin type. The silicone is nonporous & antibacterial so it's really easy to clean and much more hygienic than a brush. It is also 100% waterproof so you don't have to worry about keeping it in the shower. I absolutely love how long it lasts without charging. I've had mine for nearly a year now & I've only had to charge it once in that time. If only they could put that same technology into an iPhone! The main difference between a Clarisonic & a Luna device is that the Luna does not exfoliate the skin. Instead it just uses these T-Sonic vibrations to deeply cleanse your pores, kinda like an electric toothbrush for your face. It simply enhances the power of your cleanser and allows any products you apply after cleansing to penetrate deeper. This means that it fits in better with the rest of my skincare routine as I can still use all the acids & retinoids I want without over-exfoliating my skin or damaging the moisture barrier. Using the device is incredibly simple. You just wet your face & apply your cleanser like normal. Then you wet the Luna Mini 2 & turn it on before moving it around your face in circular motions for one minute. It has an integrated timer so it pauses every 15 seconds to tell you to move the device to another area of your face. It also switches off after three minutes to prevent overuse. The only thing you have to be careful about is which cleanser you use with it. The instructions say to avoid using any clay-based, silicone-based or grainy cleansers with the Luna Mini 2. 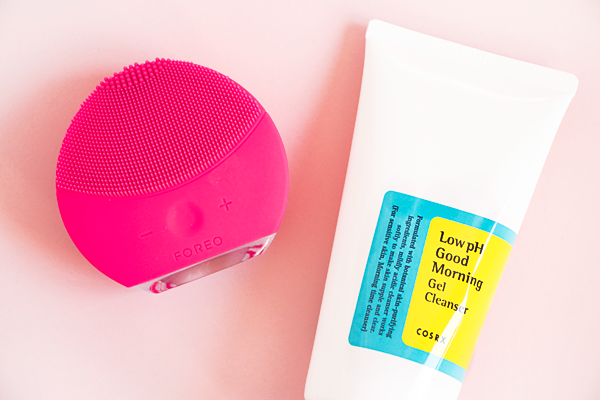 My favourite cleanser is the CosRX Low pH Good Morning Gel Cleanser & it works brilliantly with this cleansing tool. I use it with this cleanser twice a day, every day & my skin has never looked smoother. The results I've had from using this have been amazing. When I first bought it I wasn't too sure if it was doing much. From the very first use it will make your face feel baby soft & really well cleansed without any irritation whatsoever. But over time it really starts to work it's magic. It has made a huge difference to the texture & clarity of my skin. My complexion looks so bright & fresh and my makeup applies better too. I find that now when I do get a spot, the Luna helps to pop the head without causing trauma so I get minimal post-blemish scarring & everything heals up much faster. Overall I'd say it's definitely worth the investment. It's easy to use, easy to clean, easy to charge & it works wonders on the skin. What's not to love? !